Buffalo, Kangaroo, Ostrich, Venison and Wild Boar. 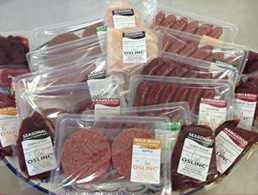 Pack includes – 8 Fillet Steaks, 10 Gourmet Burgers and 30 Gourmet Sausages. Supplied fresh and suitable for freezing.